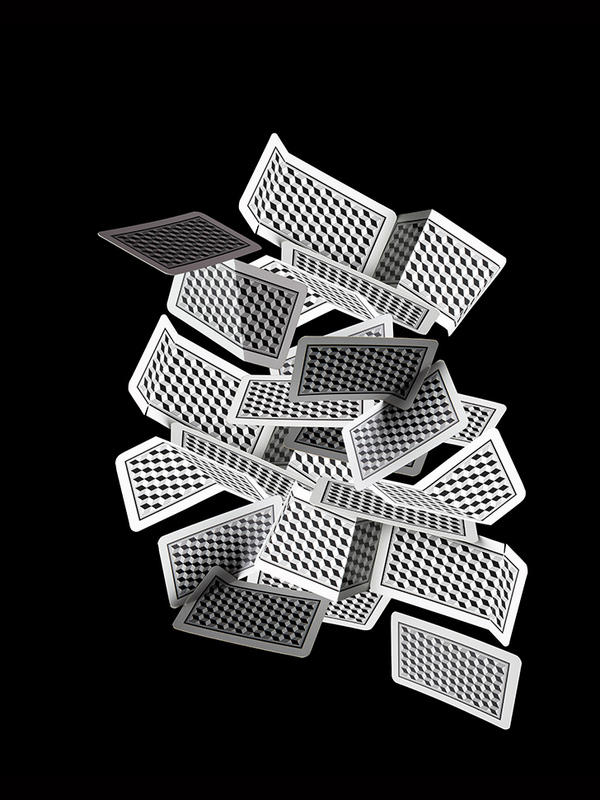 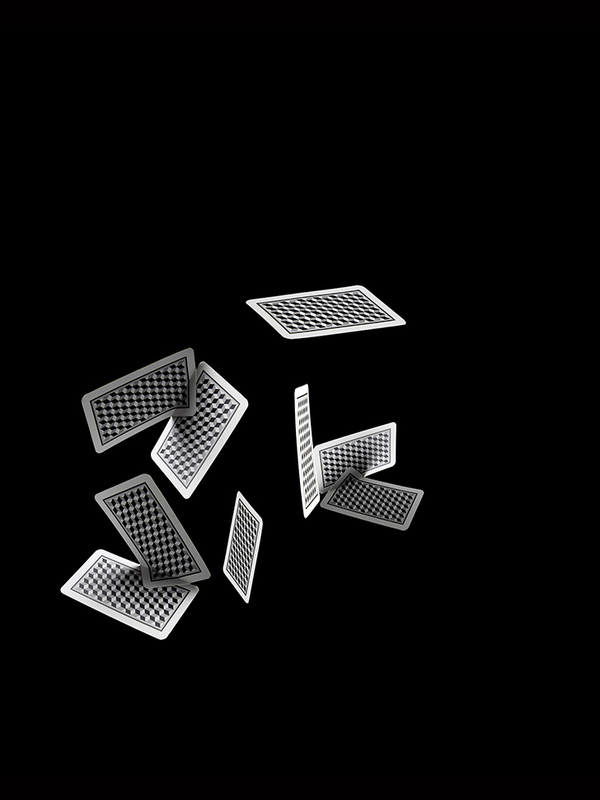 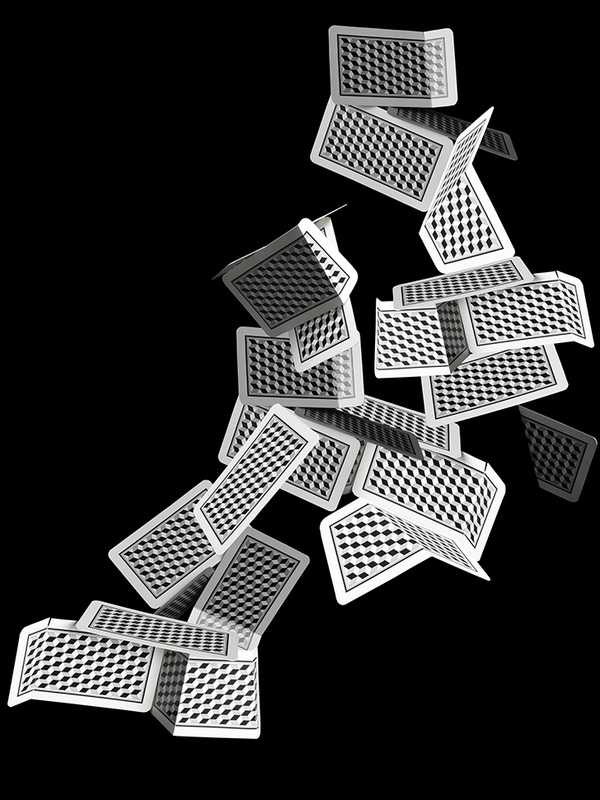 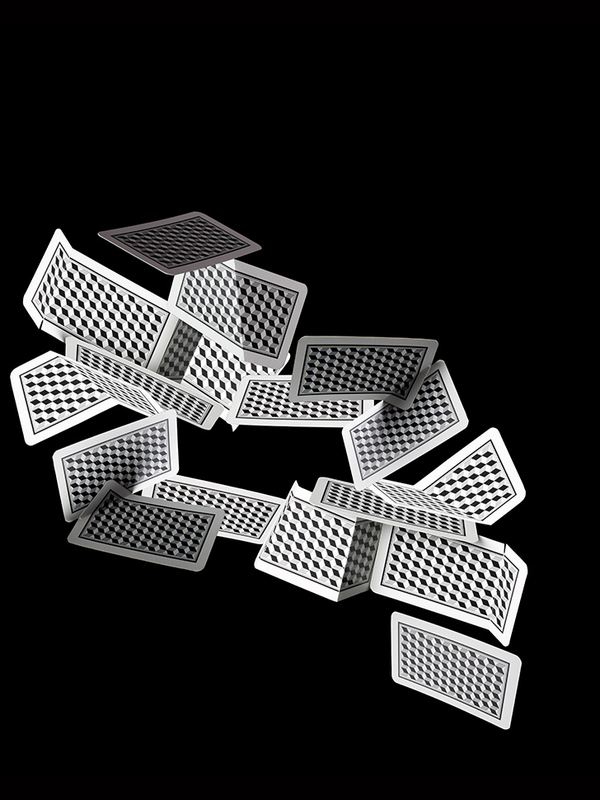 In these works the cards are photographed on simple black backgrounds, which are separated from them for compositing. 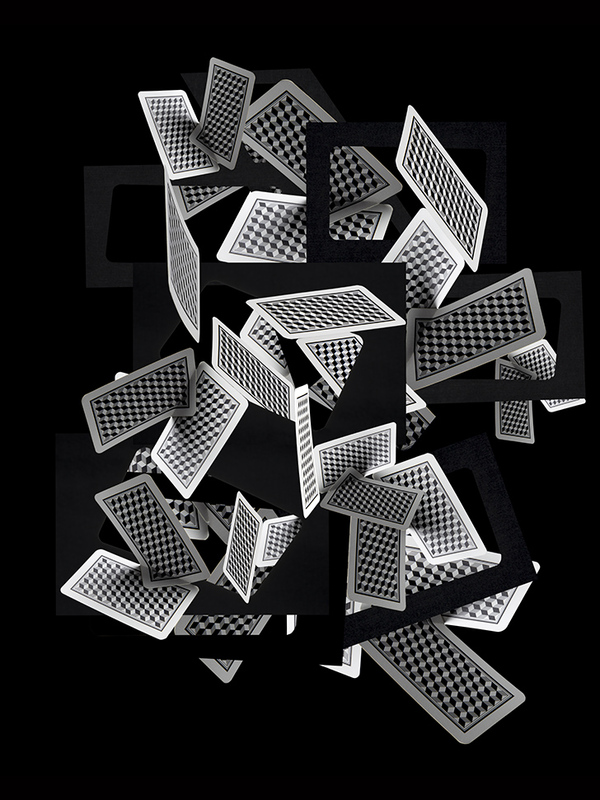 These negative spaces (cutouts) then reappear in the compositions functioning as voids and patterns that trace back to the photographic and digital process used to create the works. 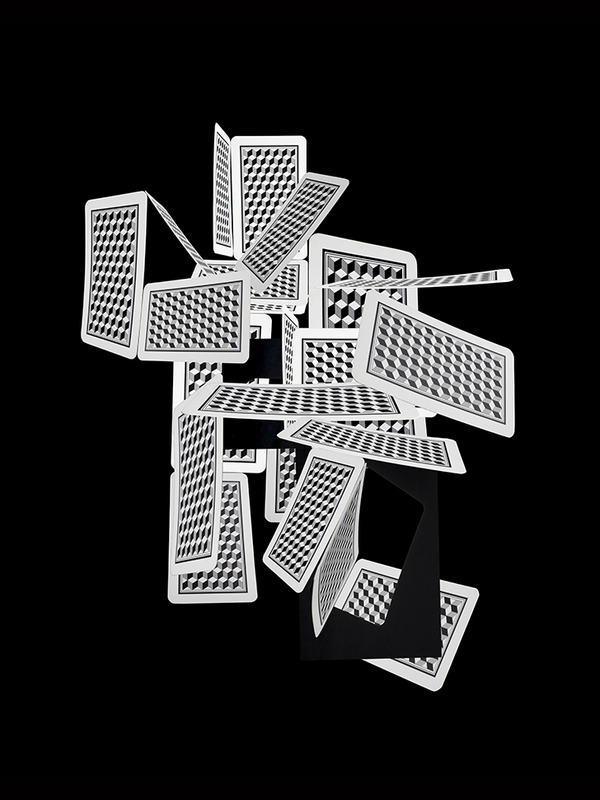 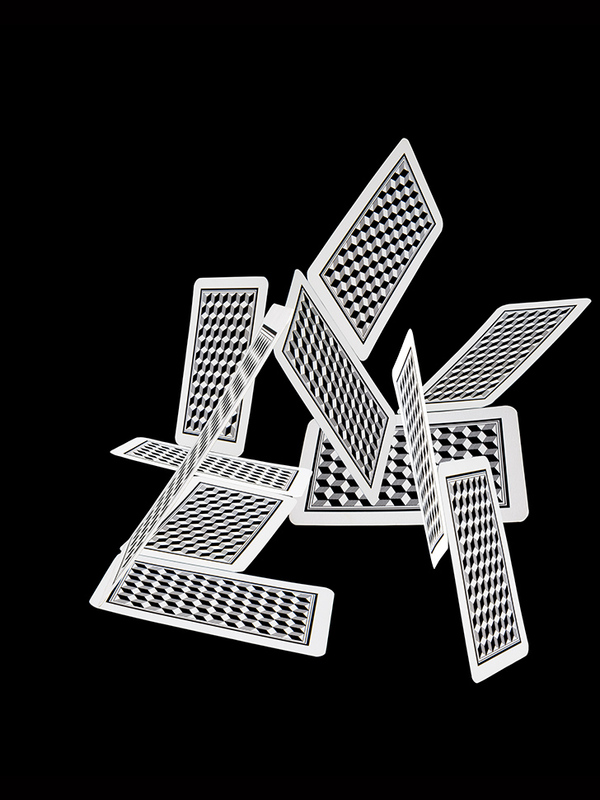 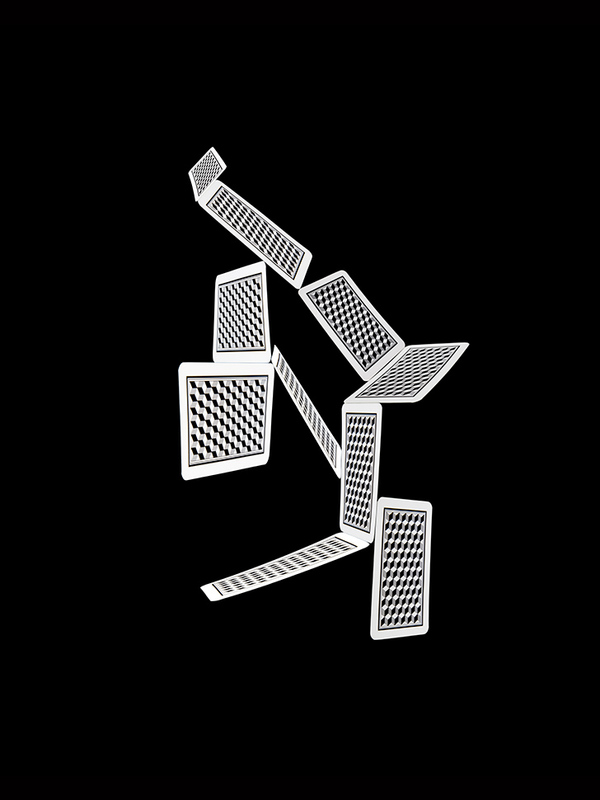 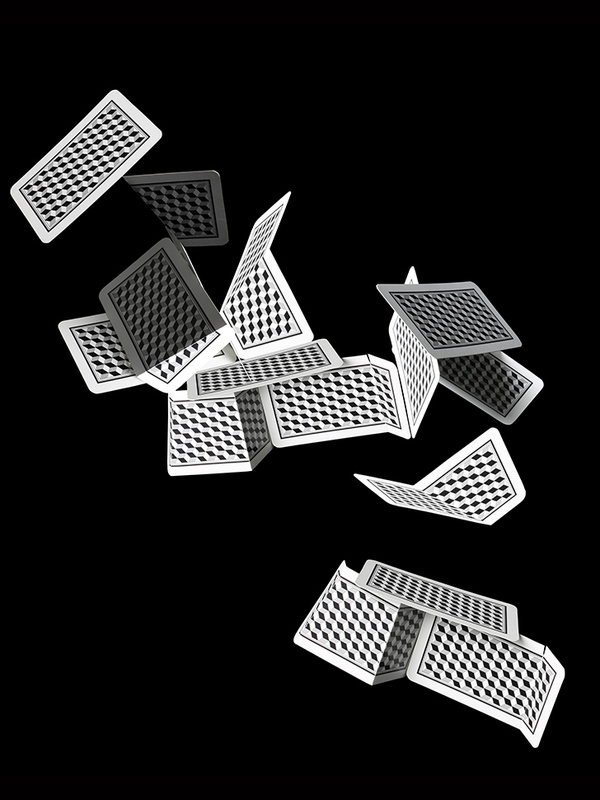 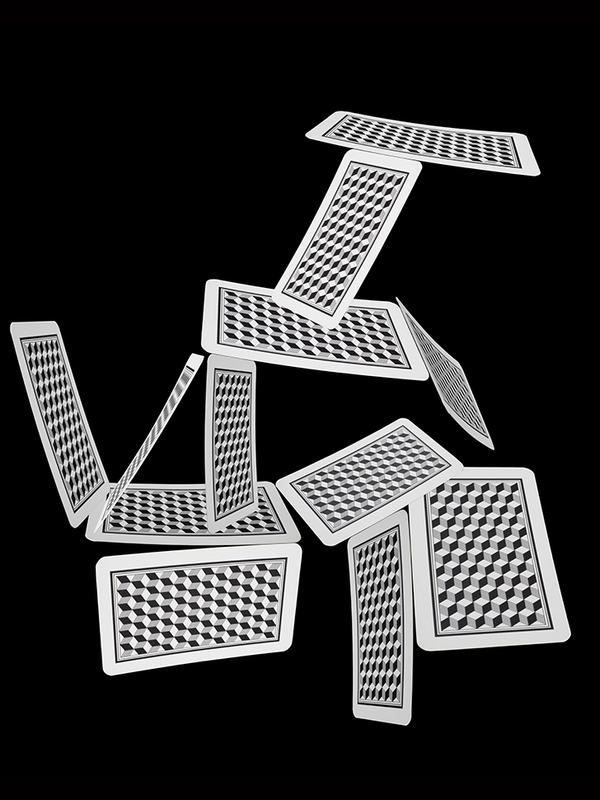 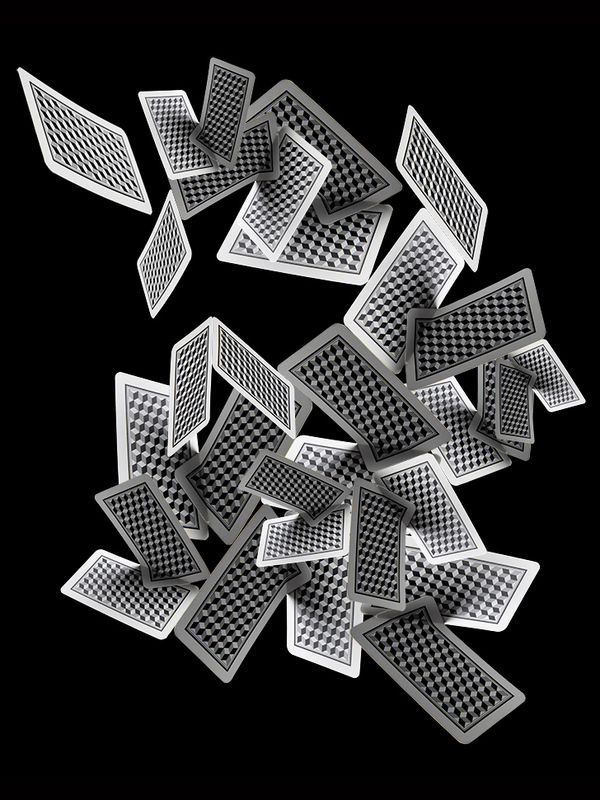 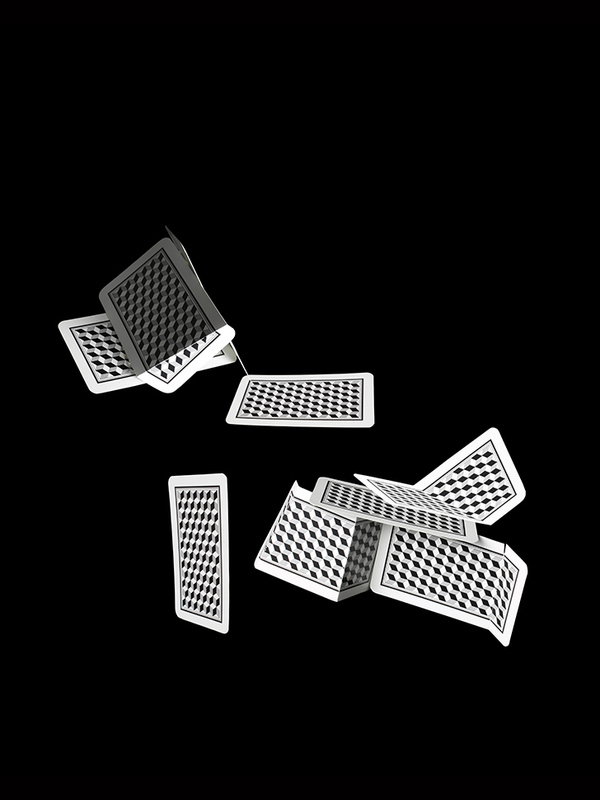 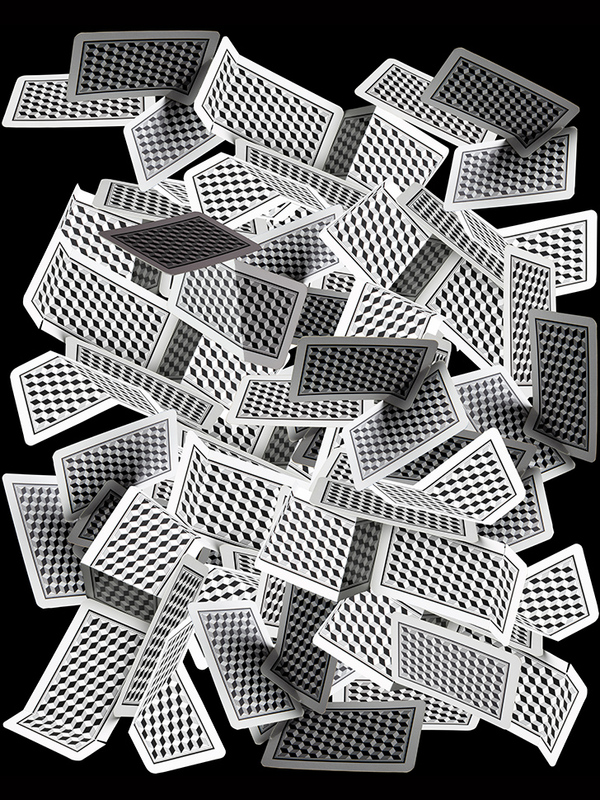 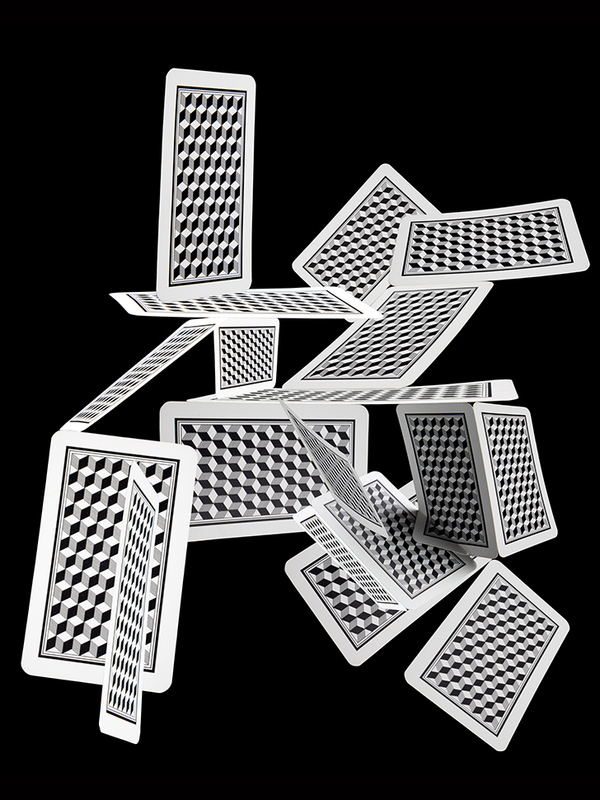 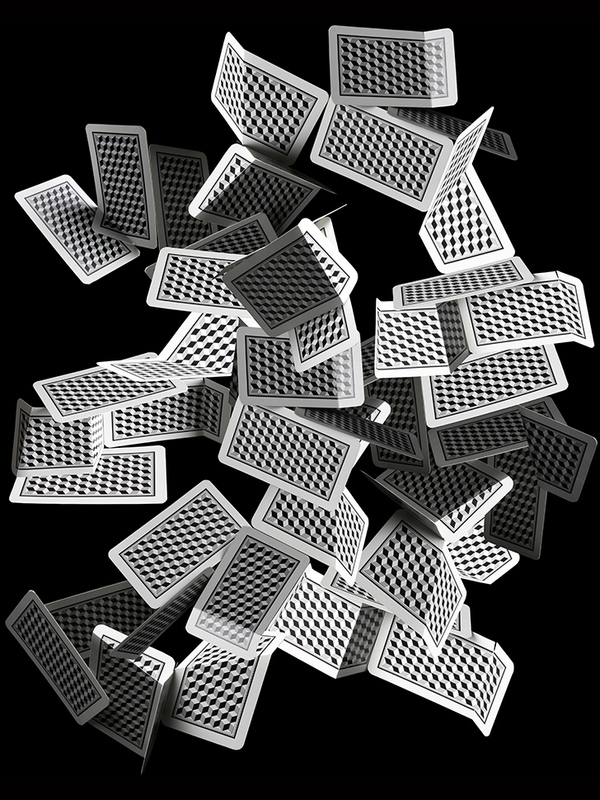 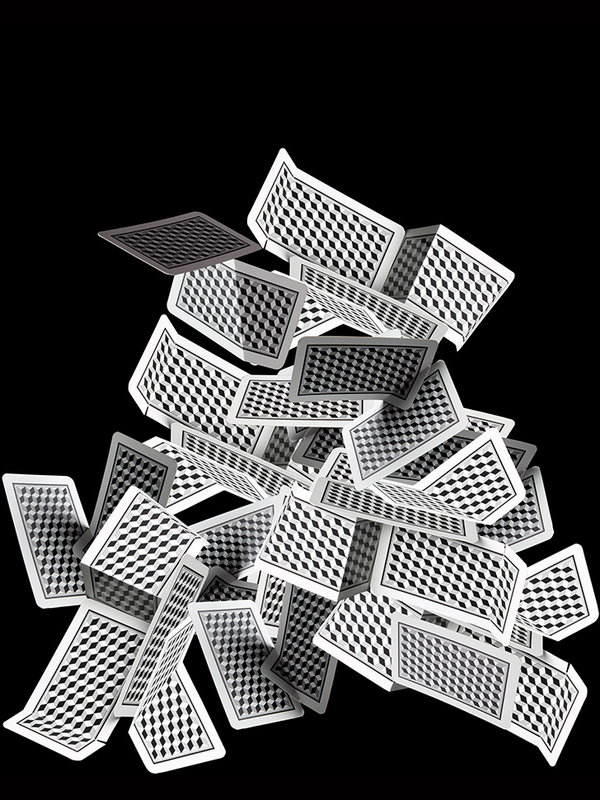 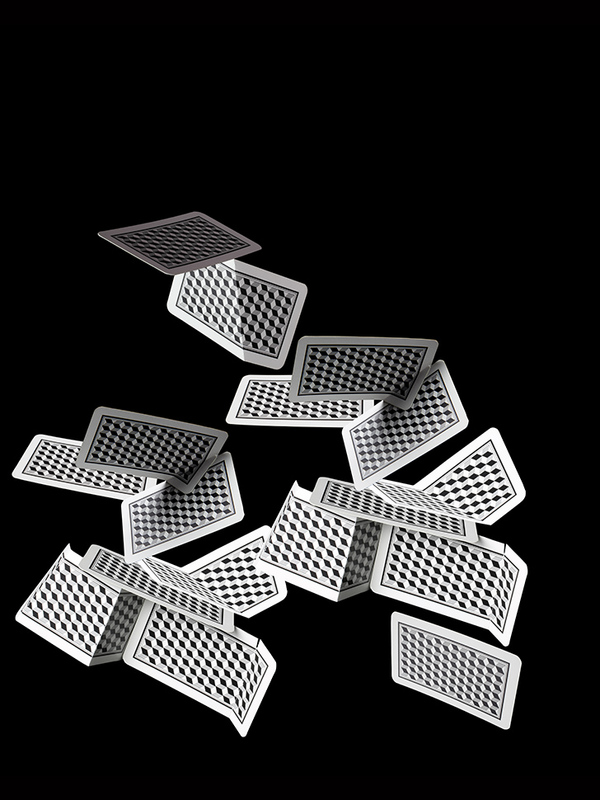 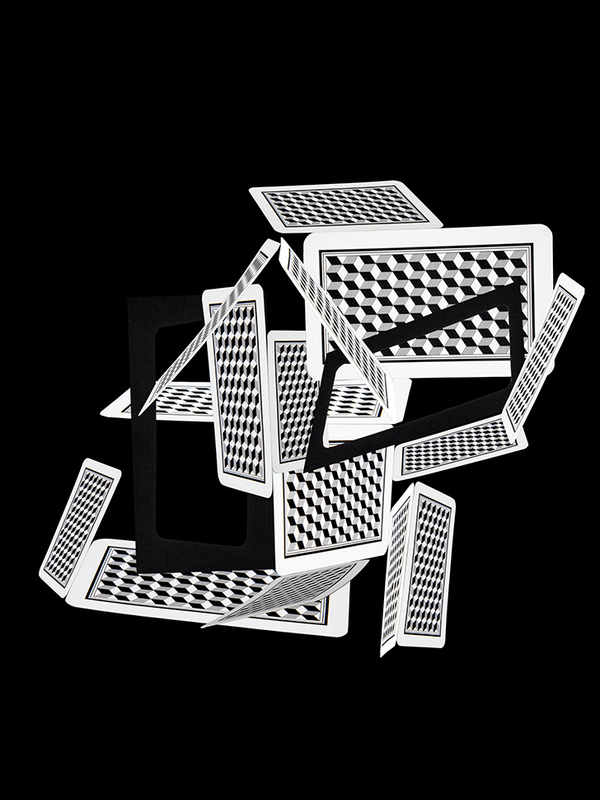 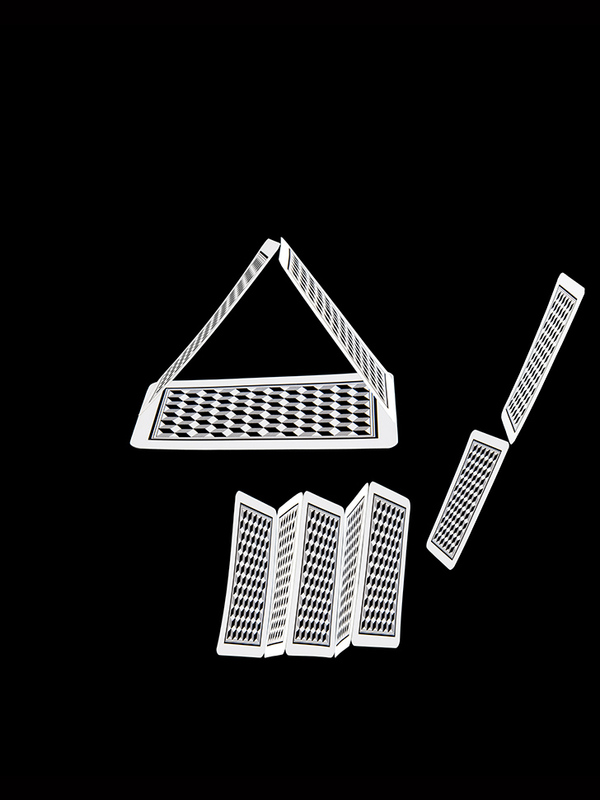 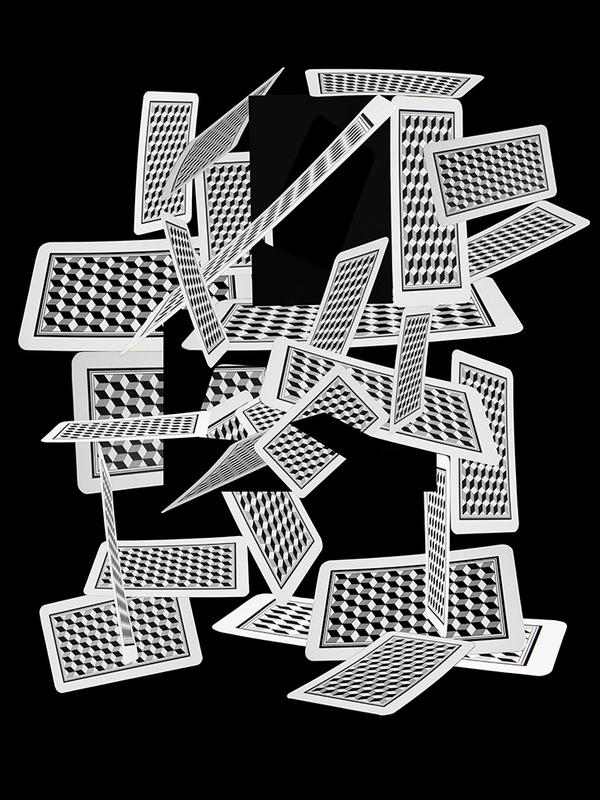 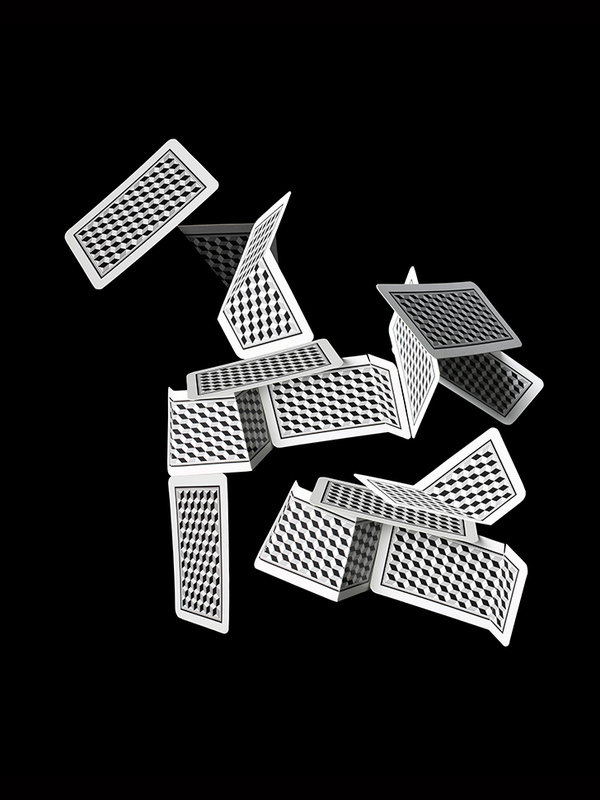 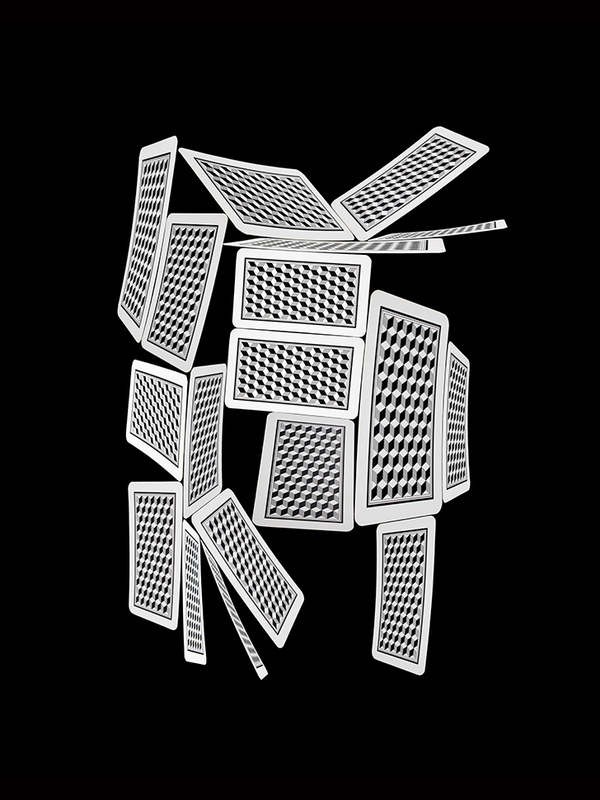 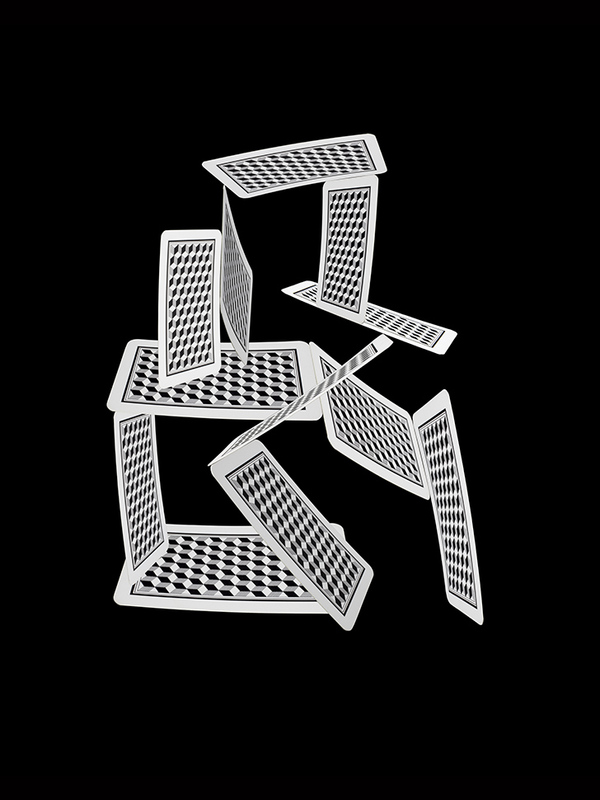 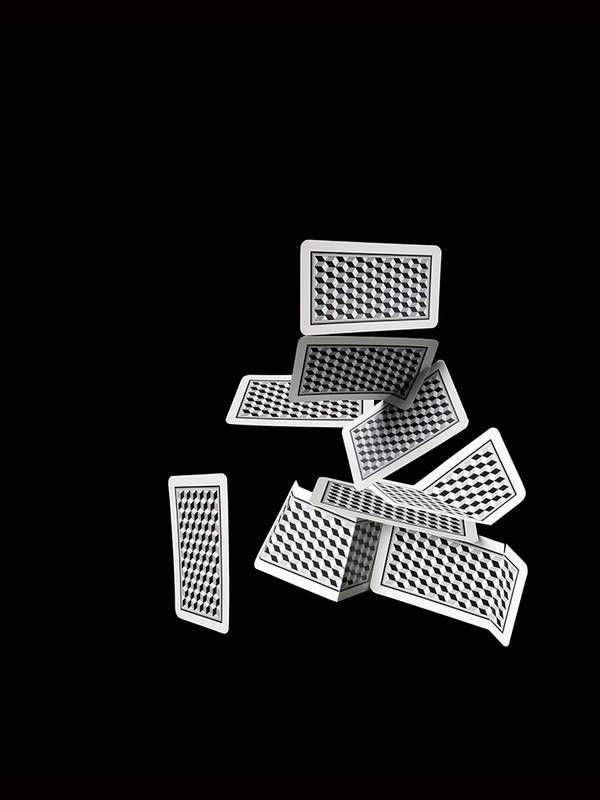 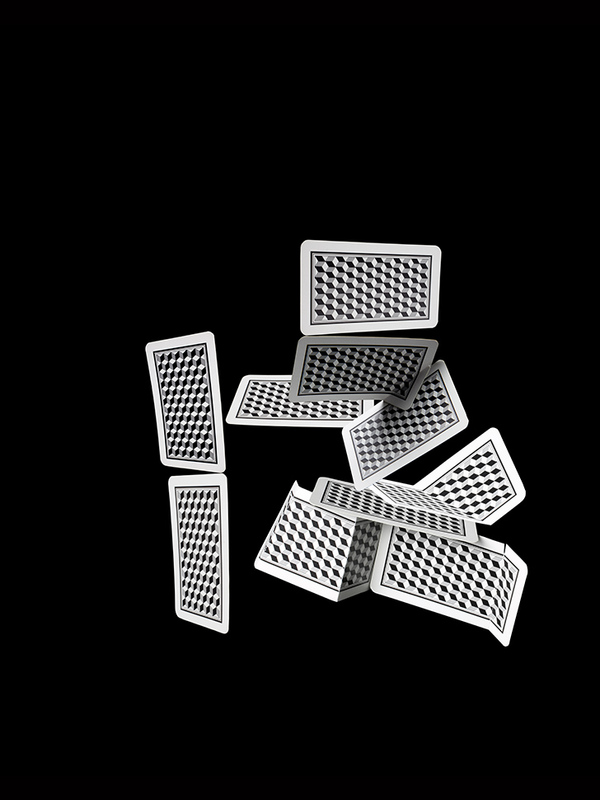 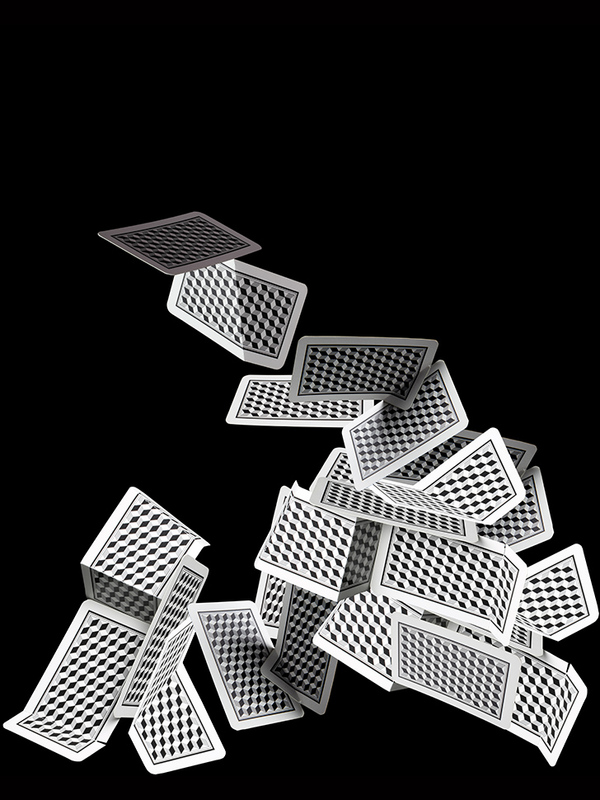 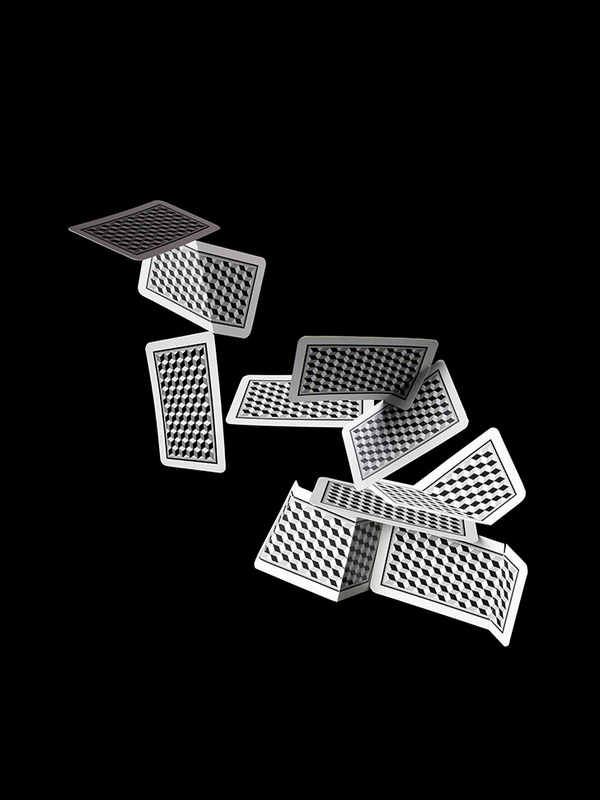 I selected a mass-produced playing card to create precarious structures referencing a house of cards– the optical illusion pattern on the backside of the card echoing the subjectivity of perception. 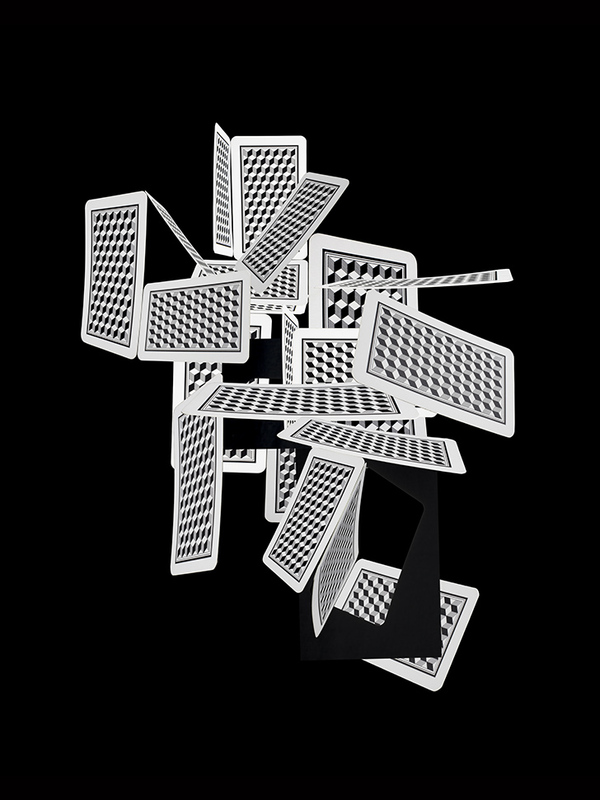 Working modularly allows me the ability to create provisional compositions and installations in which I can deconstruct, parse and re-contextualize concepts visually. 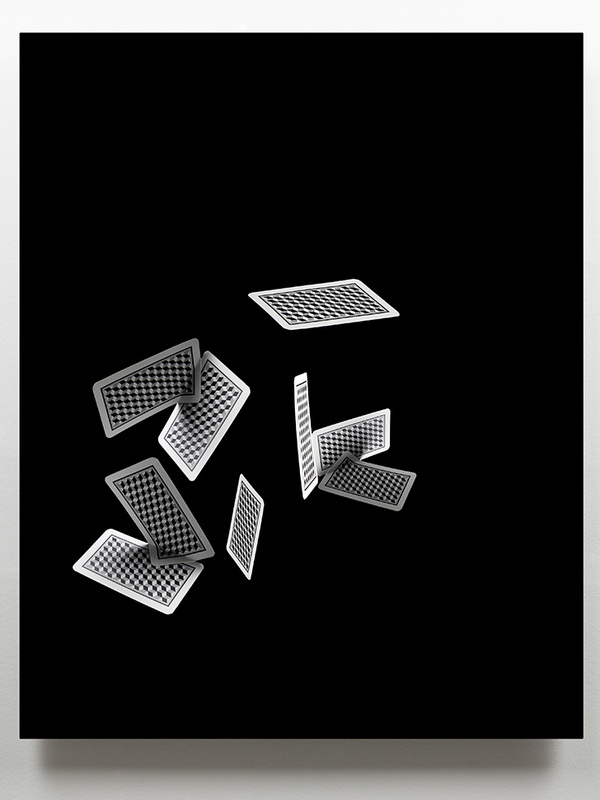 All of the works from this series are mounted and hung unframed. 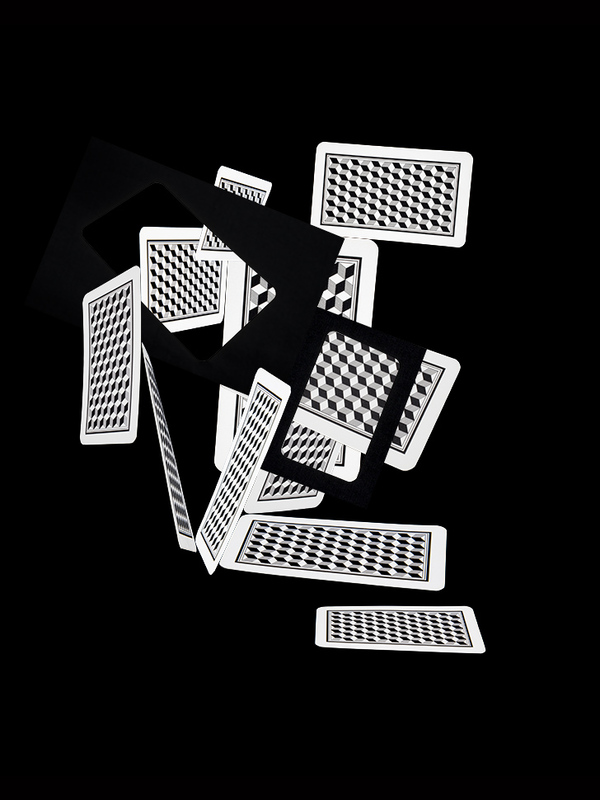 The photos appear as dreamlike images in which fiction and reality meet, well-known tropes merge, meanings shift, past and present fuse. 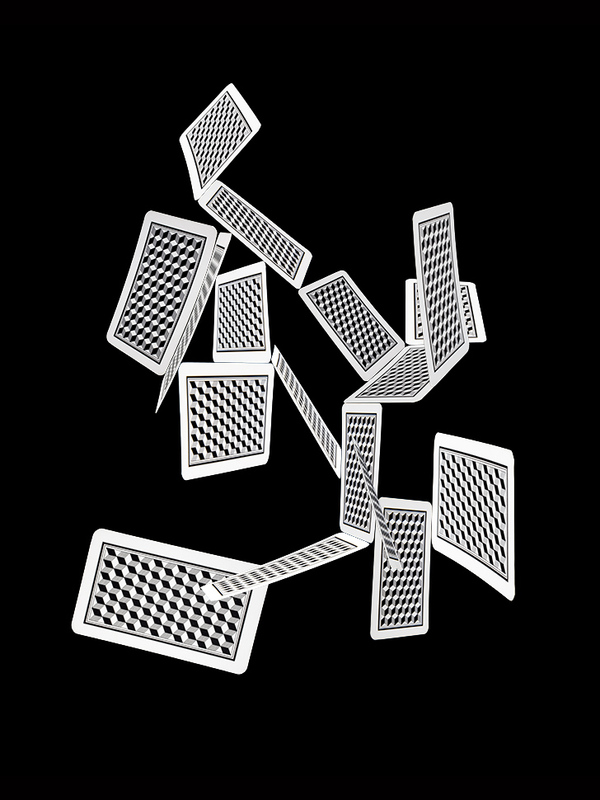 I aim to create compositions that generate poetic images that fluctuate on the edge of recognition and alienation.